Christmas in Ruston is like nothing else. Downtown shops with beautifully decorated windows, streets lined with twinkling lights, and a community with cheerful spirits and thankful hearts elicit all the warm feelings of being home for the holidays. With so much happening during this season, we wanted to bring you a collection of the ways to celebrate the holidays with your friends and family in Ruston & Lincoln Parish. 📷: Henry McCoy, Fine Line Supply Co.
Small Business Saturday – The Saturday following Thanksgiving is devoted to shopping local, and Ruston has no shortage of opportunities to do so. 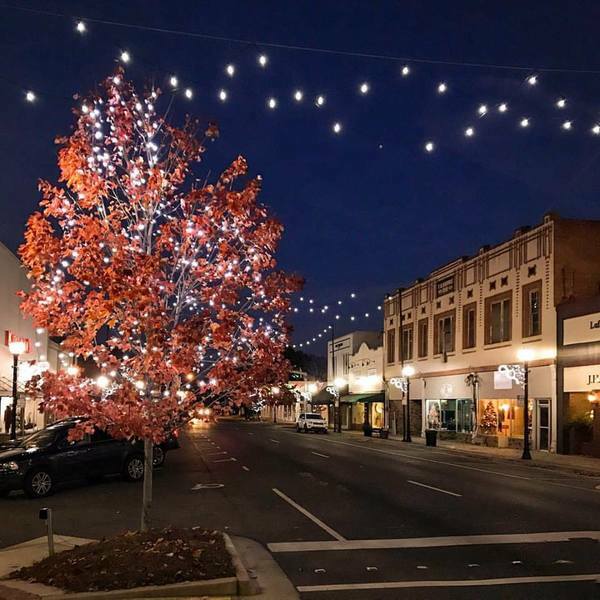 Downtown Ruston is populated with boutiques, specialty stores, and shops with impressive gifts for the holidays. See a complete list of shopping options here. Lincoln Lights Up the Pines – Ruston’s exclusive drive-through Christmas lights display is a must-see every year. Lincoln Parish Park is brightly decorated with colorful lights and Christmas scenes Thursday-Saturday every year the first weekend of December. Bring the entire family out to experience this limited-time holiday attraction from the comfort and warmth of your vehicle. Details for this year’s event can be found here. Ruston Community Theatre’s Christmas Production – One event that’s highly anticipated this time of year is RCT’s Christmas play. 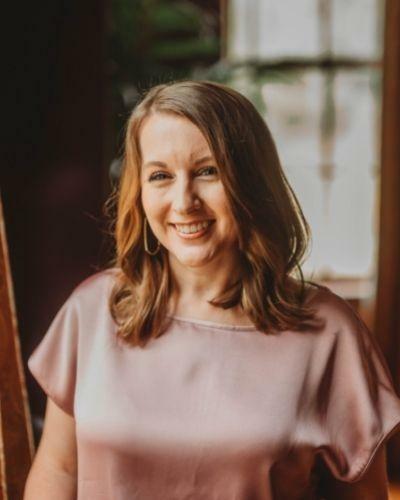 The troupe is known for bringing holiday classics to the Dixie Theatre stage like A Christmas Carol, It’s a Wonderful Life, and A Christmas Story. Visit our website for details on this year’s production of Miracle on 34th Street. Kickoff to Christmas – Another highly anticipated event is the official lighting of the downtown Christmas tree at Kickoff to Christmas. It’s truly a magical night in downtown Ruston as everyone joins together to watch the giant flip switch to illuminate the Christmas tree in Railroad Park. Activities for the night include the opening of the skating rink, live music on the Railroad Park stage, and mailing letters to Santa. Click here for 2018 Kickoff to Christmas details. Ice-Skating Rink – Louisiana may not be known for snow and ice, but the City of Ruston makes sure everyone has the chance to experience some wintery fun. Ruston’s own artificial ice-skating rink is located downtown in the Historic Fire Station parking lot. The rink is open Friday-Sunday throughout the month of December. Cost and times can be found here. Ruston Christmas Parade – What’s the holiday season in any town without the annual Christmas parade? Bundle up and bring the entire family out to see all the festive floats throwing out candy and prizes to all. Click here for this year’s details. Downtown Chili Cookoff – Occurring downtown the same day as the Christmas parade is the Battle for the Paddle Chili Cookoff. Teams of cooks fill Railroad Park battling for the best chili recipe to win coveted prize paddle. Click here for more information. Christmas Concert at the Dixie – One must-attend event for the holidays is Lawrence Gibbs & the Russ-Town Band annual Christmas concert at the Dixie Theatre. Come jingle-bell rock to all your favorite holiday classics. 2018 concert information can be found here. Christmas in Dubach – Located about ten miles north of Ruston is Dubach. This small town celebrates Christmas in a big way with their own parade, shopping opportunities, activities for the family, delicious holiday treats, and more at the Scott Hamilton Warehouse. Click here for details. Big Creek Trade Days – Also located in Dubach is this massive shopping market. Each month (held monthly on the weekend before the second Monday) you have to chance to shop items like handmade jewelry, accessories, and furniture, antiques, boutique-style clothing, outdoor items, and more. Big Creek Trade Days in December is bigger and better than ever with hundreds of vendors ready to help you knock out your shopping list. More information here. Christmas at the Farm – One more way to celebrate the season in Dubach is this holiday fundraiser for the Outdoor Wilderness Learning Center’s therapeutic riding program. Bring the family out for pony rides, photos with Santa, a petting zoo, holiday games and treats, and much more. More details can be found here. For more information on these and other events throughout the, visit www.experienceruston.com. Planning a trip? Download or request our updated Visitors Guide!